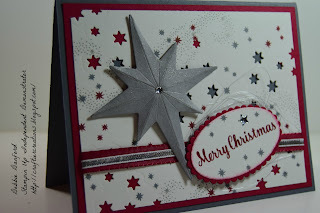 Well, today I am back with a Christmas card made with the new Star of Light stamp set & Starlight Thinlits Dies, & the stars from the Detailed Santa Thinlits Dies. 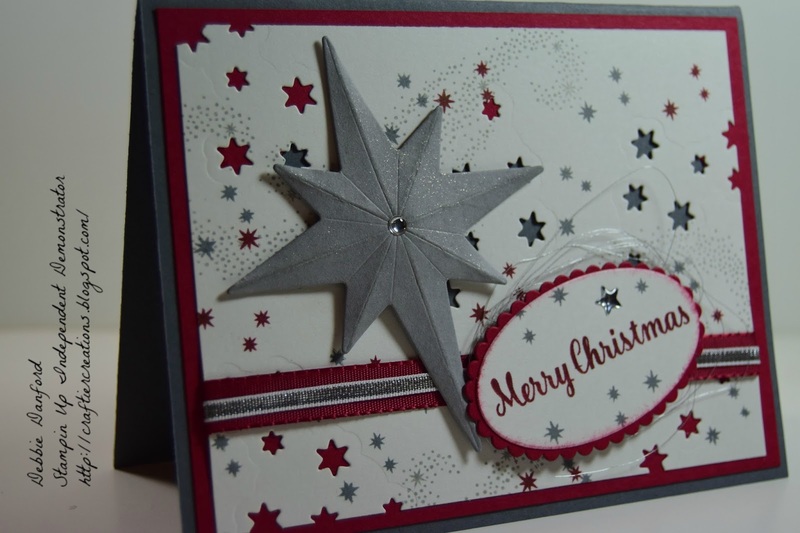 Die cut a few of the stars on the Shimmer paper. Then stamp all the different stars with Smokey Slate, Cherry Cobbler, & Basic Grey. 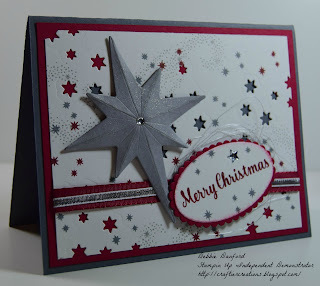 Die cut the solid star out of Basic Grey & score the lines to get it to pop up a little. 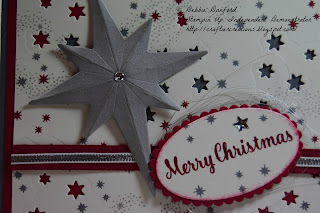 Paint on Clear Wink of Stella & add a dimensional to pop up the star. 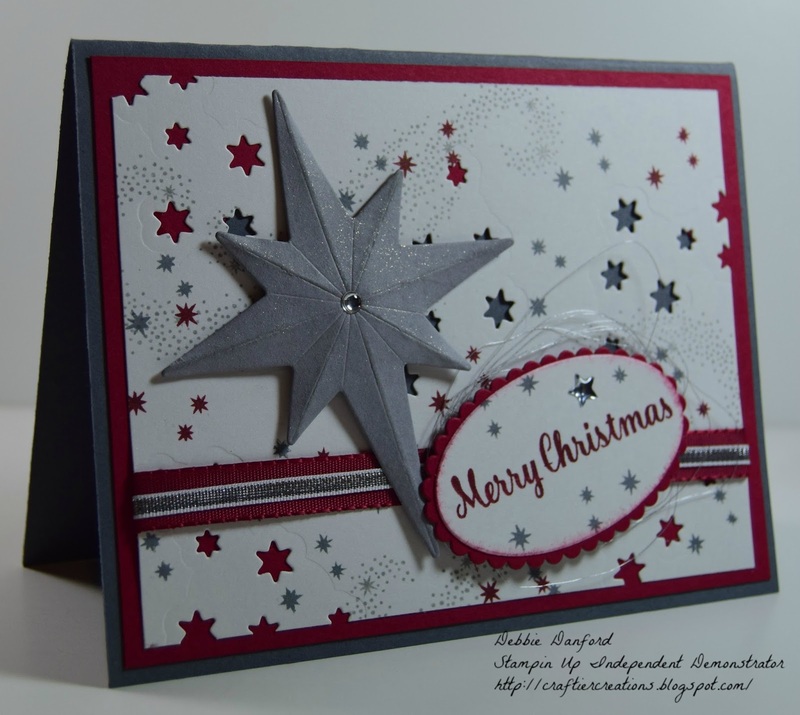 Stamp words & die cut ovals, add Enamel thread.